Looking "where to sell my Jaguar XKE Series 3?" Ask the Chicago Car Club! Are you wondering "where to sell my Jaguar XKE Series 3 ?" The Chicago Car Club is interested in classic cars of all makes and models, especially a Jaguar XKE Series 3. 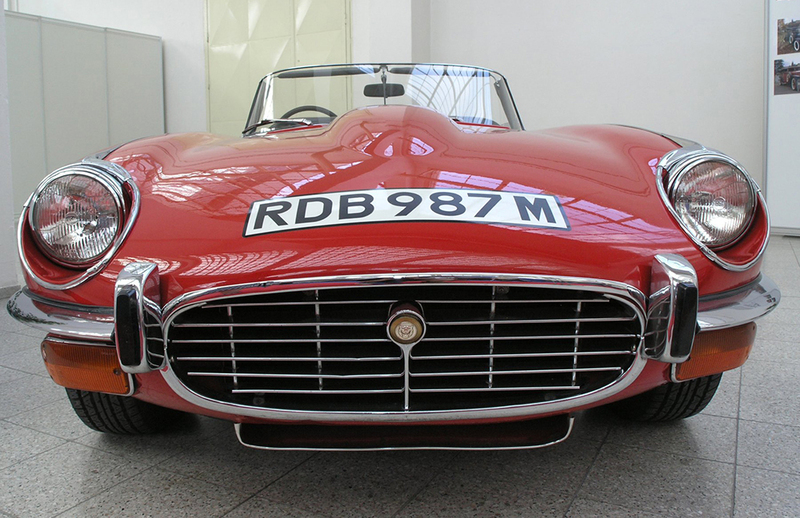 We make the process of selling your Jaguar XKE Series 3 quick and painless. In just a matter of hours we will have your classic valued and, if you do so choose, turned into money in your pocket. All it takes is a phone call or electronic inquiry to get the ball rolling. The Series Three XKE saw the most significant of changes of the XKE bloodline, a brand-new 5.3L V12 engine with four Zenith carburetors originally developed for LeMans. This new powerplant produced 272hp, and helped the XKE to accelerate to 60mph in less than seven seconds, a figure that bested much of the XKE’s direct competitors. The Series Three XKE was available with power steering standard, as well as an optional automatic transmission, wire wheels, and air conditioning. Series Three cars are identifiable by the large, cross-slatted grille, four exhaust tips, flared wheel arches, wider tires, and V12 badge on the rear. During its five year production run, 15,287 Series Three XKEs were produced.